It fakes me out every time when I see how pathetic the skin looks past-rinsing when I can't imagine if coming together and looking like a bird again. All the starlings, laying out. 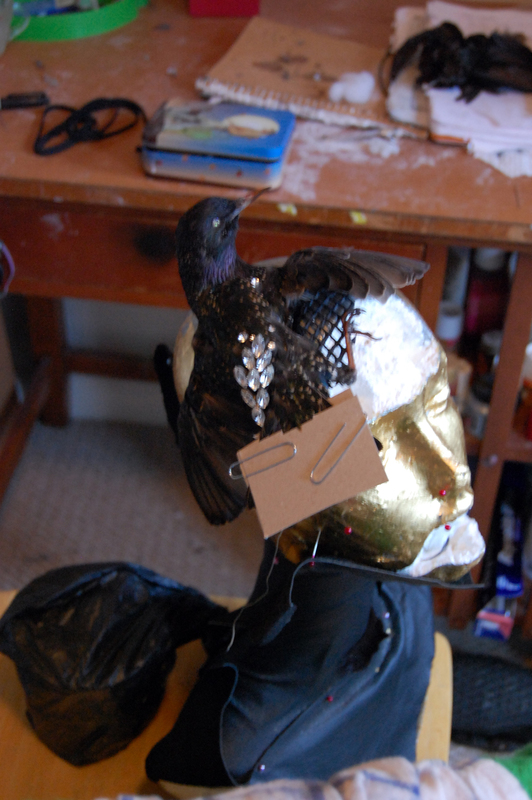 I used one for my head piece, here it is mounted and posed. I've been back from school almost a month now, and have been working on getting my studio in order and practicing my skills on whatever specimen I can get my paws on. The racoon hide I tanned is now taxied onto the proper form, climbing up a wall and almost finished. Pictures to come. 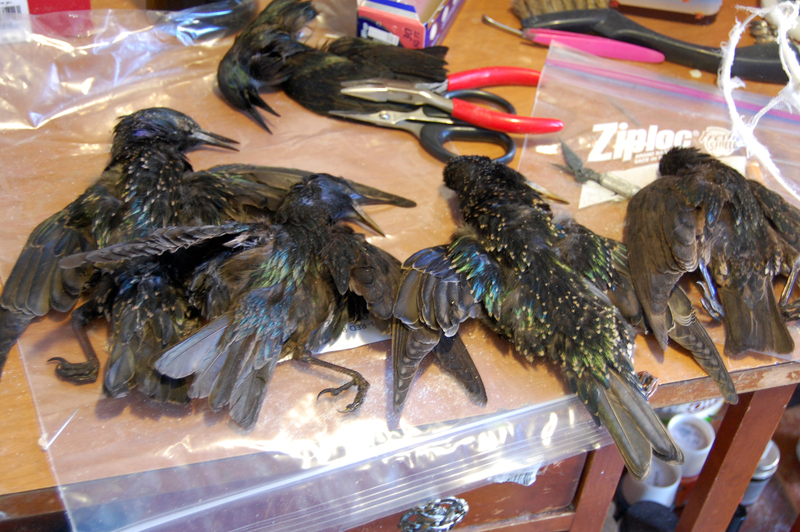 I received a box of 8 starlings in the mail from a fellow taxidermist with a trigger-happy son. Starlings can be a real pest to anyone occupying vast spreads of land so it's not generally frowned upon to assist in population control, so to speak. 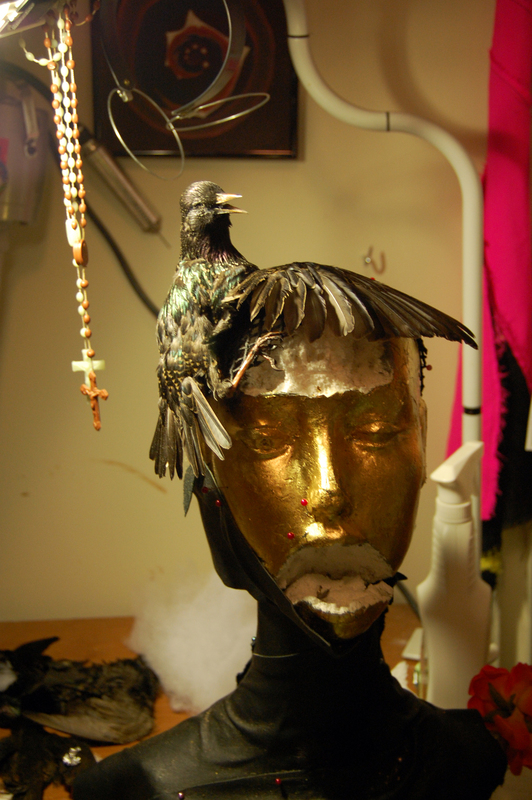 He barely charged me anything for the birds (the shipping cost exceeded the bird quote) so I'm comfortable experimenting with them. 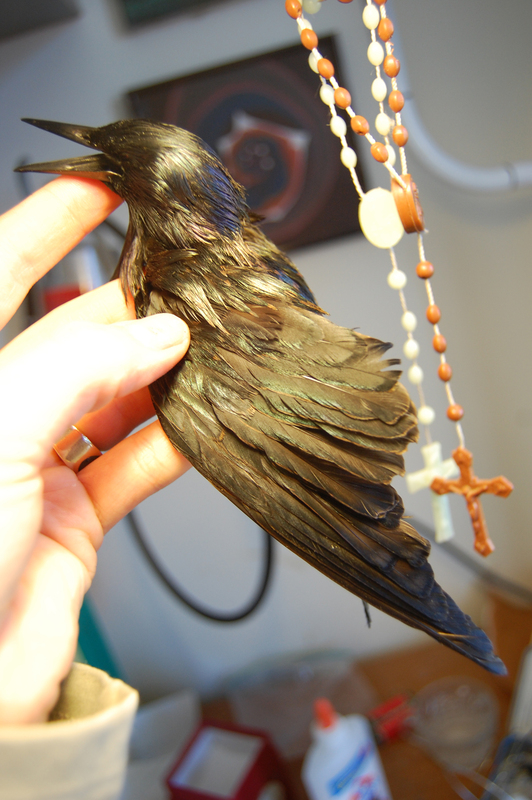 I decided to try dying the skin of one, to eliminate the white/brown spots and create a completely black little bird. 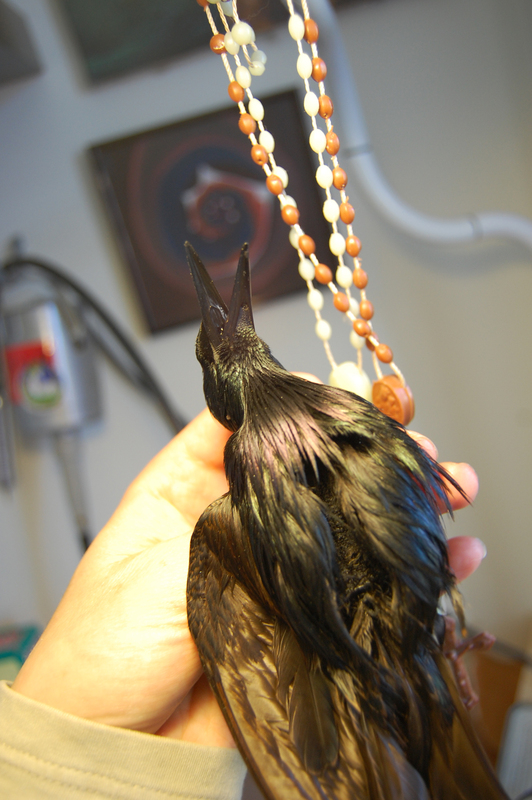 The process was kind of trial and error, but I think I've come up with a successful way to alter the color of the bird without compromising the preservation. What excited me the most was not only the success in eliminating spots, but the way the iridescence was really brought out. Animals: Love them or hate them, we also eat them. And nothing better illustrates just how many of them we eat (and how thoroughly) than Calvin Schwabe's giant compendium of recipes from every corner of the world, excerpts of which are appearing in Salon this week, Monday through Friday -- one recipe each day on the Life and People sites -- by kind permission of the University Press of Virginia. This one comes from Turkey where it's known as "Karatavuk yahnisi." "Fry some chopped turnips and carrots. Add a little stock and a glass of red wine. 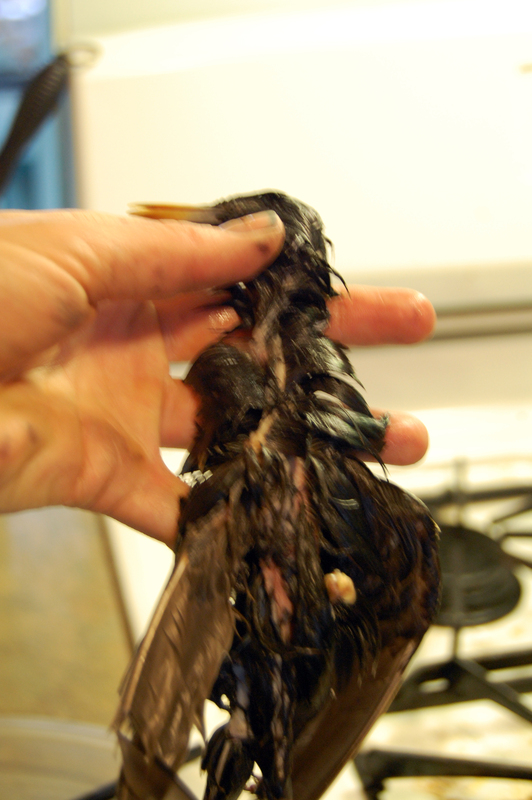 Place some starlings or other small birds in the pan. Add a thin purée of boiled potatoes mashed with beaten eggs, dry mustard, and some stock and a little beer. Cover with stock and cook for about 30 minutes, adding some ripe olives near the end." Perhaps this will be a dish for Easter. Stay tuned!